DAVID LE/Staff photo. A staple of Vietnamese cuisine, the beef pho is perfect for a cold winter afternoon. 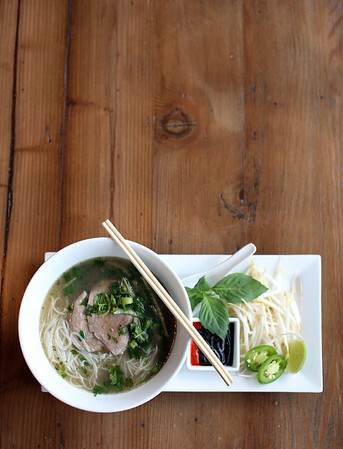 Soall Bistro in Marblehead makes four kinds of pho among other delicious Vietnamese dishes. 10/9/15.